The Dark Knight Rises- Chinchilla style! Who said superheroes don't take elevators? 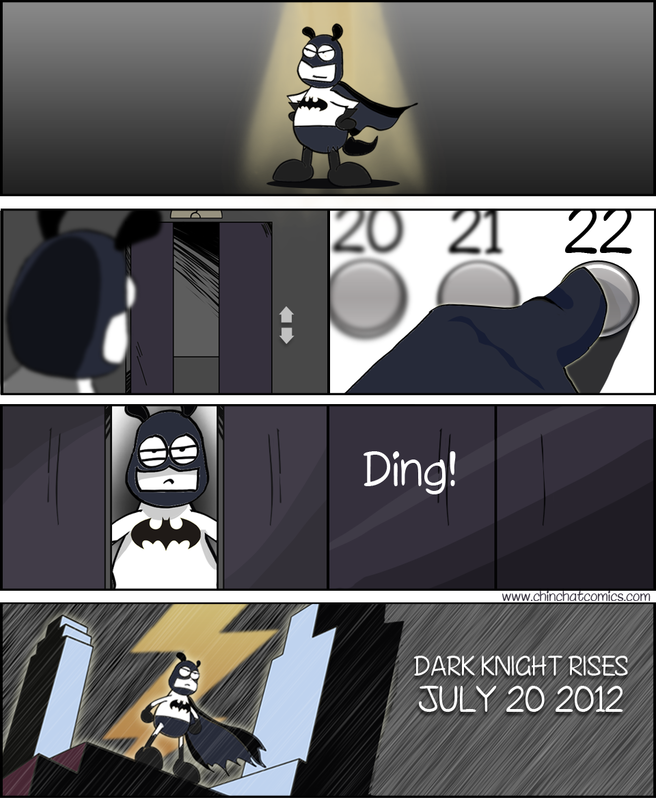 In excitement and honor of Batman and the new movie coming out July 20 2012, I hope you enjoyed this comic.